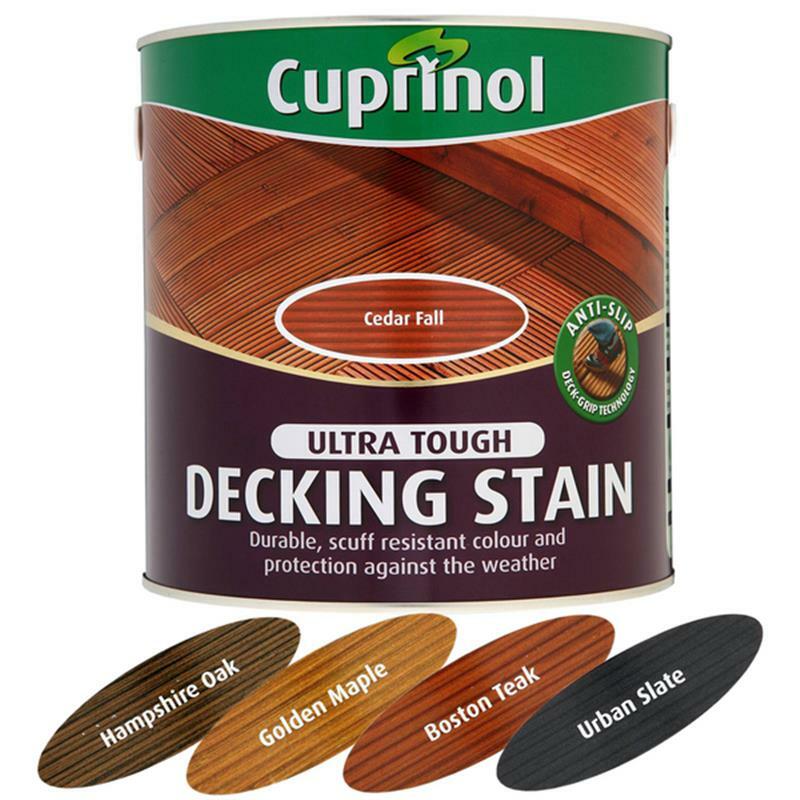 Cuprinol Ultra Tough Decking Stain - 2.5L. Cuprinol ultra tough decking stain offers a rich semi-transparent colour with a tough durable finish. It has a unique double action formulation which has invisible anti-slip microbeads to make decks safer than untreated wood and an algaecide to help protect the film surface from green algae and mould growth.